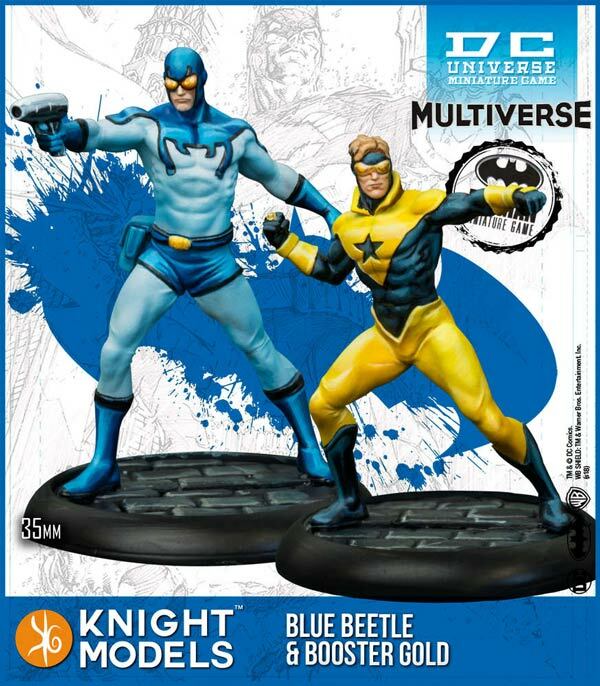 This week, I finally got my hands on the new Knight Models DC Universe Miniature Game: Multiverse Blue Beetle & Booster Gold two-pack figures, and they're pretty much as advertised. I ordered them from GameNerdz.com. 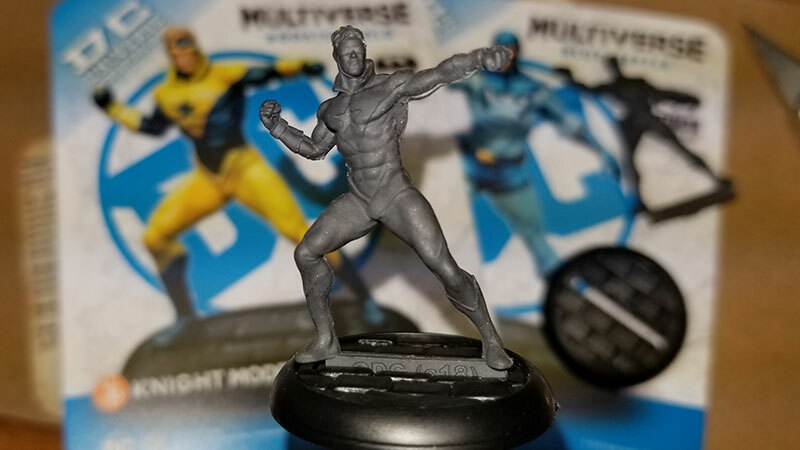 As you can see, the miniatures (34mm high) are sold unpainted and unassembled, so you'll need to do a little work to get them display (or play) ready. For example, my Beetle fit poorly in his stand, and my Booster had some residual resin flash that required cutting away with an xacto blade. (You can see the white line under his outstretched arm.) Your mileage may vary. did you know that they would be gray and unpainted when you bought them? Yes. I made note of that when I first published a link to them back in August. ("Objects May Be Closer Than They Appear," August 6, 2018). Hopefully, no Booster booster bought them expecting them to be anything other than gray. Welcome, Nick. Tell your friends! If you owned eight Booster Gold comics and then bought eight more, how many total comics do you have? If you owned two Booster Gold comics and then bought five more, how many total comics do you have? If you had seven dollars and then spent seven dollars on Booster Gold comics, how many dollars do you have left?